What’s in Your Fridge should contain many All-Natural Benefits that can assist your body & skin. Have you ever thought of opening your fridge to have fun with what’s in there? We often just associate the fridge with foods and drinks for consumption, but not for the other benefits they may contain. When my sister and I were in our teens, we used to wait for our parents to leave the house for a few hours before raiding the fridge! Out came the yoghurt, eggs, lemons and more as we experimented with hair treatments, colouring, face masks and girly things. We had some hilarious incidents during these sessions, though often the clean-up was more challenging than the task we were trying to reach. 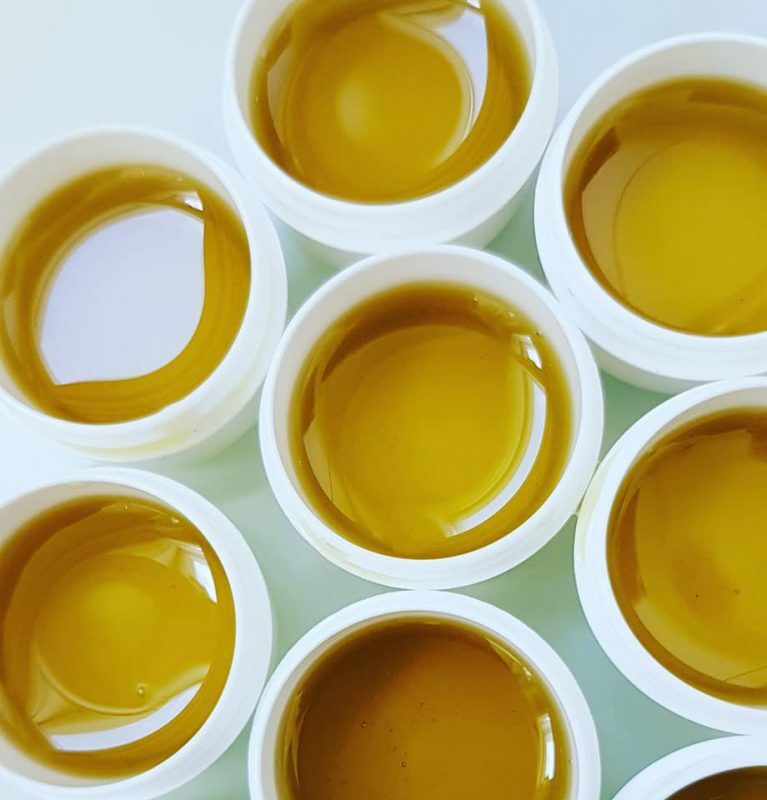 During my Holistic Skincare Product making Diploma course, we learned about the kinds of ingredients that are contained in Commercial products compared to what we put in our Naturally made products. I have chosen to only use Naturally sourced ingredients as it goes with our Brand, Integrity and stays true to the About Me Story. A while ago I wrote to my Facebook friends what they could do for a quick remedial way of treating their skin. I shared this because often we think that we should spend loads of money on expensive Masks and Treatments, which often contain a combination of synthetic chemically made nasties that do more damage than good. I often say to my customers, if you can read the ingredients without needing a Dictionary, then you’re on the right track! Aqua (Water), Cetearyl alcohol, Glycerin, Kaolin, Magnesium aluminum silicate, Caprylic/capric triglyceride, Rosa damascena flower water, Cera alba (Beeswax), Polysorbate 60, Sorbitan stearate, Urea, Phenoxyethanol, Ceteareth-20, Xanthan gum, Pelargoneum graveolens (Geranium) oil, Parfum (Fragrance), Allantoin, Tocopheryl acetate, Benzoic acid, Althaea officinalis root extract, Dehydroacetic acid, Disodium EDTA, Ethylhexylglycerin, Mannan, Salix alba (White willow) bark extract, Citric acid, Polyaminopropyl biguanide, Potassium sorbate, Sodium benzoate, Citronellol, Coumarin, Eugenol, Geraniol, Butylphenyl methylpropional, Limonene, Linalool, Citral, Dipropylene glycol. To be safe, just check the ingredients of the products you’re using, especially if you have sensitive skin and are prone to breaking out in red blotches or spots. 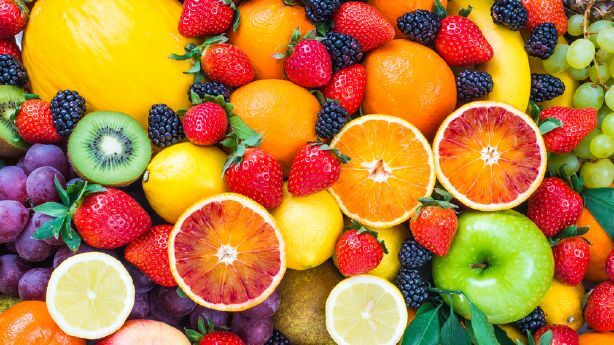 To end the year with something fun, here are some tips on taking care of your skin with what’s in your fridge. Remember to wash your face with warm water before and after applying a face mask as this will help keep your skin clean and allows valuable nutrients to penetrate! Apple, Grapefruit, Honey, Lemon are all great for adding to your Mask. 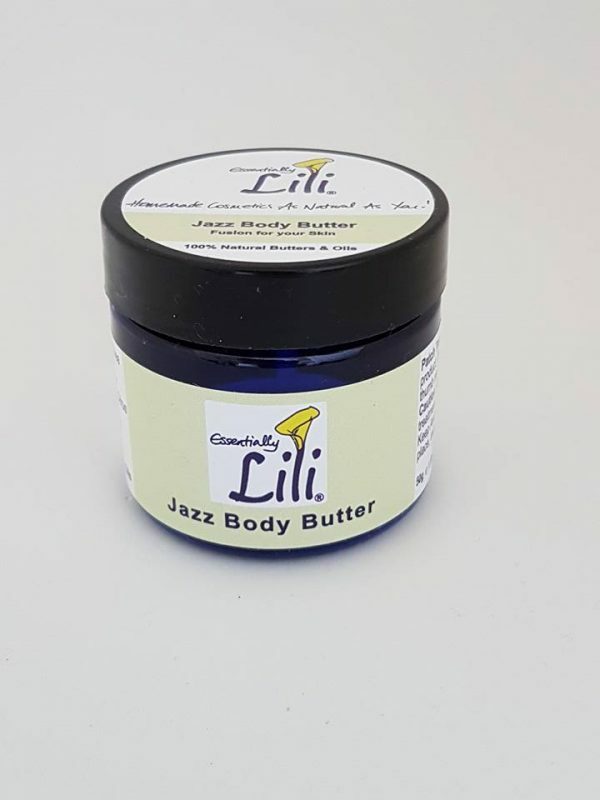 Apricot – Fresh or dried is rich in Vitamin A.
Avocado – flesh of the fruit has high oil content, as well as lecithin, Vitamins A and B.
Avocado butter has Vitamins A, B, G and E.
Banana – Rich in Vitamin A, great to mash and put on your face. 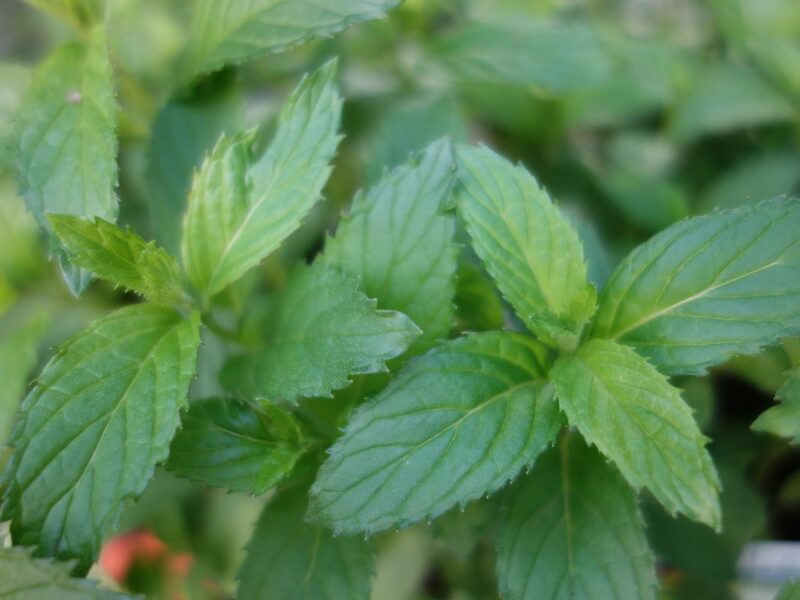 Blackberry – use the fruit to make a mask, the leaves in a toner can help refine the pores. Carrot – Rich in Vitamin A, use the juice with your face mask. Eggs – Use the Yolk to make a mask for dry skin and the whites to make it set! Mayonnaise – the vinegar helps restore the acid balance of the skin whilst the oil is softening and moisturising. I have found for me, products with Vinegar irritates my sensitive skin, so be careful if yours is the same. Melon – added to face mask for cooling effect. Oatmeal – is great added to masks! Peach – the whole fruit can be used in a face mask. 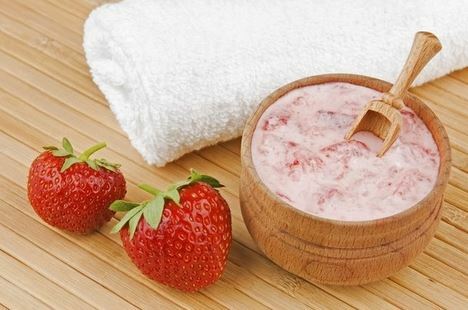 Strawberries & Tomatoes both have astringent action on the skin, which is great for face mask. Wheatgerm – Rich in Vitamin A, B and E, used dried for masks. Yoghurt – Good for removing blackheads, great on your face. 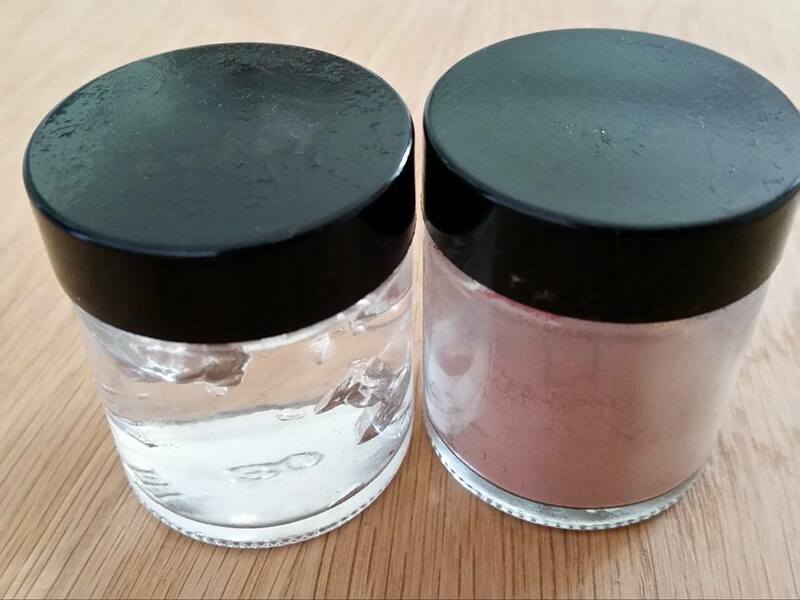 Some other great ingredients for using in masks are: Green Clay, Kaolin Clay, Kelp, Pink Clay and Rhassoul Mud .The benefits of these ingredients is that they draw the impurities from the skin, they are rich in minerals, and are able to deep cleanse the face, body and hair during the mask cleansing process. 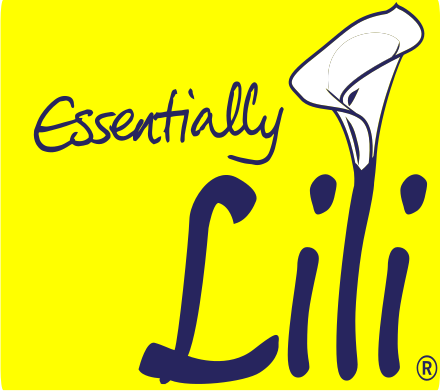 We will begin supplying Pink Clay in 2018 as part of our Essentially Lili Range. 1. Avocado Mask – is an excellent choice for making homemade face masks for dry skin, as it contains a has Vitamins A, B, G and E. You only need half of the avocado, you can eat the other half and give your skin a boost from the inside as well! 3. 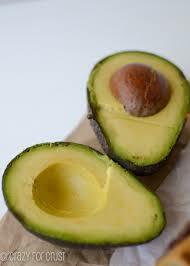 Directions: Mash the avocado in a bowl, then stir in honey. Apply to skin and leave for 10 minutes. Rinse face with a cool washcloth. 1. Oat Bran Mask – is great added to masks! 2. Ingredients: 1 Tbsp Oat Bran or Oatmeal, 1 Tbsp Yogurt, 1 Tbsp Honey, 1 Teaspoon Olive Oil, 1/8 Teaspoon Bee Pollen (optional). 3. Directions: Combine all ingredients in a small dish, apply to you skin and leave it for 10 minutes or until it is dry. Rinse.Moisturize your skin with a good serum or argon oil. Store any leftover homemade facial mask in the fridge in a sealed container.It should stay fresh for about one week. 1. 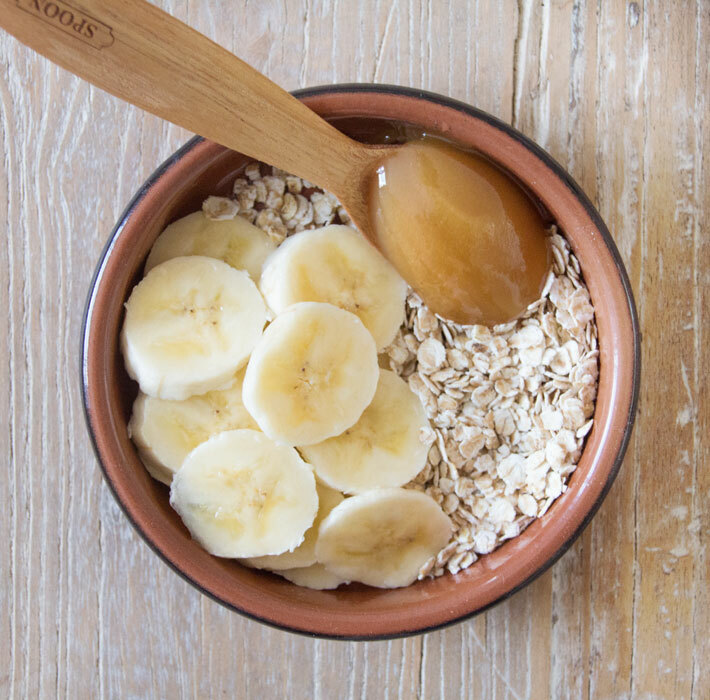 Banana, Honey and Oatmeal -For a deep moisturising Facial Treatment! 3. Directions: Cut the banana in half & mash it with a fork.Mix in the oatmeal, add honey & mix well. Then add water & mix until the mask’s consistency is creamy. Apply evenly to clean skin, leave it on for 15, then rinse with warm water and pat your face dry. 1. 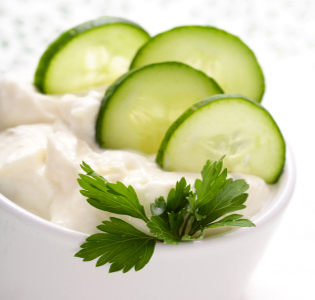 Cucumber & Yoghurt Mask – Cucumber has very similar pH to the skin, is soothing, cooling and healing, whilst Natural Yoghurt is good for removing blackheads, great on your face! 2. Remember to put 2 slices of cucumber on your eyes whilst relaxing. 3. Suitable for both oily & dry skin, depending on how you manipulate this versatile fruit! 4. Ingredients: 4 Tbsp of cucumbers mashed & 2 Tbsp Yoghurt. 5. Directions: Combine the mixture. Apply the mixture to your clean skin. Leave it on for 20 minutes. Rinse and dry. 1. Papaya and Strawberry Mask – Many commercial masks use fruit ingredients.Here you will find a lovely fruity recipe to make for your dry skin, if you can stop yourself from eating it! 2. Get yourself some extra strawberries, and you can make a fruit salad with the other half of the papaya. 4. Directions: Place strawberries, peach, papaya, honey in a mixing bowl, and mix until the fruits are blended.Stir in oatmeal a bit at a time until a paste is formed. 5. Apply the mask to the face and leave it for 10 to 15 minutes.Rinse with lukewarm water and finish by applying a good moisturizer. What has been your favourite fridge raid ingredients for your face, body or hair? What benefits did you find using them or was it a total disaster? I look forward to hearing your stories and what you’d share that’s not on the list.